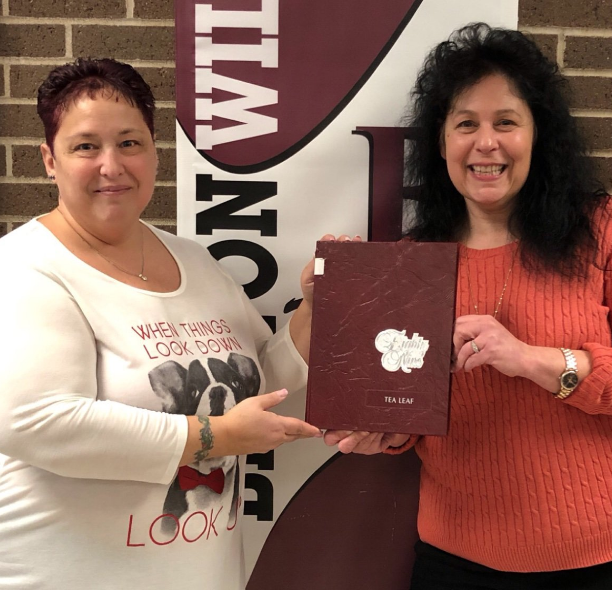 Ms. Klamerus and Mrs. Ferris hold up the 1989 Becton Tea Leaf, which is the year that they began their career at the school. 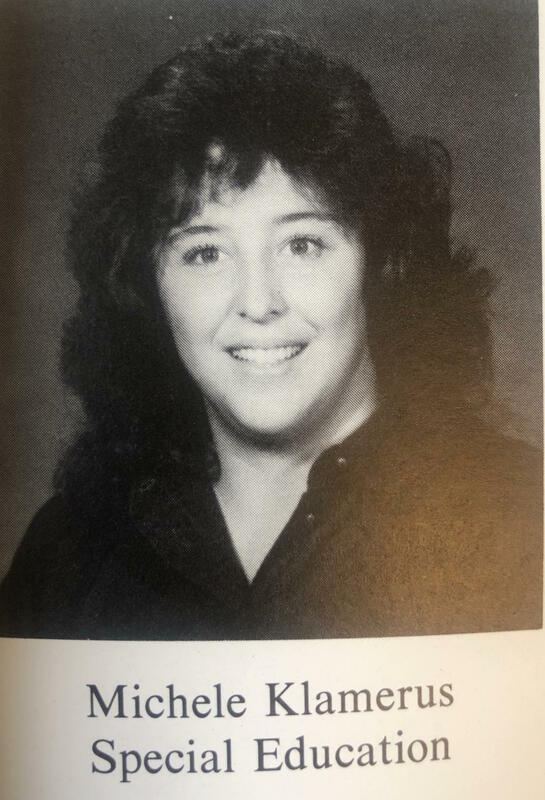 Becton Regional High School’s Student Assistance Counselor, Ms. Klamerus, is celebrating her 30th year working at the high school this month. After working as a special education instructor, Ms. Klamerus began as a part-time SAC counselor in 2006 and became full time in 2009. This marks her tenth year working in the guidance department. Ms. Klamerus credits Ms. Kathy Sawchuk, Becton’s former SAC counselor, for having motivated her to pursue a career in counseling. “I used to help her with some of her activities, and she suggested I go for my certification,” she explained. 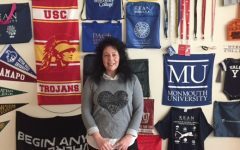 Ms. Klamerus attended Kean University for her undergraduate studies and Montclair State University for graduate school. “I had some really great professors who showed me the ropes in the SAC department because it’s very different than being a teacher,” she noted. 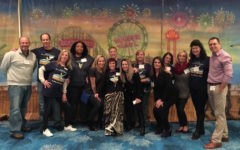 “As a counselor, I’ve learned that no matter what happens with students, they can be very resilient, but they always need that support to help them so that they can gain the ability to stand up for themselves,” she said. 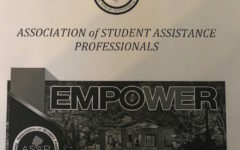 She stresses to students who would like to pursue a career in mental health to always keep their own mental health at the forefront because they need to stay healthy themselves in order to help others. In the future, Ms. Klamerus is looking forward to retirement so she could travel, enjoy her life, and spend time with her family. “Overall, just knowing in the end that I have helped others makes it all worth it to me,” she said. Mrs. Ferris originally wanted to be a professional sports team statistician. 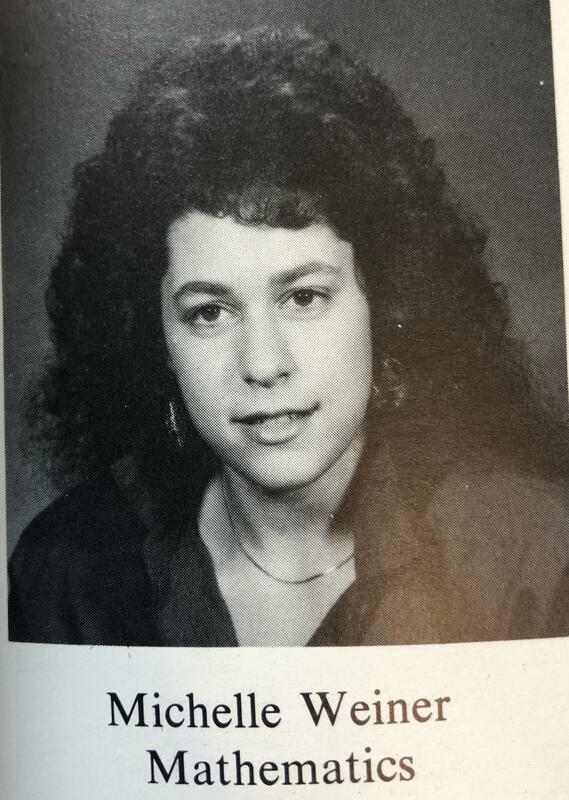 “However, 30 years ago it was difficult for women to get in the field, so my college advisor recommended I have a teacher certification as a backup,” she explained. In the meantime, she completed some freelance work for the New York Islanders hockey team. After teaching for two years though, she truly grew to love the profession. “The most important thing I learned as an educator is to be flexible with both your students and colleagues. Sometimes the best lessons are the ones that happen at the spur of the moment with no planning. Also, having a good and respectful relationship with both is crucial to achieving success,” she said. As a teacher for three decades, she tries to instill in her students that having common sense is key. She believes that if you have that, then everything will fall into place, and in turn, one will be able to make all the right decisions for himself or herself. Mrs. Ferris said that there have been so many memorable moments at Becton, the first being named Teacher of the Year in 2017. The second memory that she holds dear to her heart is every June when Becton’s alma mater plays at graduation. She takes a deep breath during that moment each year and says, “I did it!” The Class of 2019 will be the 30th graduation ceremony that she has organized and describes each one as being stressful but rewarding. “The most special graduation was when I arranged for Class of 2011 graduate Matthew Dickman, who passed away earlier this year after a long battle with cancer, to hand his diploma to his brother who was graduating in 2015. To give the Dickman family that little bit of joy was very special,” she said. Her advice to students who are considering a career in education is to obtain certification in more than one subject. She believes that being able to teach more than one discipline will make someone more desirable to an employer. “Also, don’t take everything so seriously when it comes to planning a lesson. If you don’t finish something in one period, it is no big deal,” she stressed.